Royal Army Medical Corps attached 1/6th The Prince of Wales' Own (West Yorkshire Regiment), 146th Brigade, 49th Division, B.E.F. 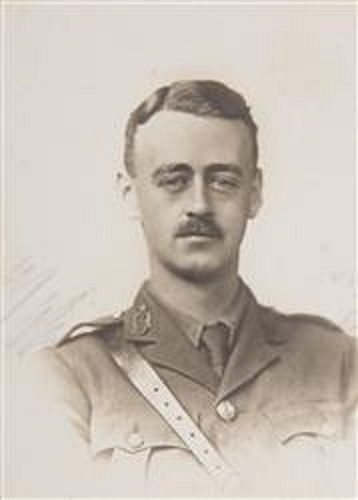 Capt Henry Ellis Robinson MRCS Eng LRCP London RAMC, the fourth son of Revd E C and Mrs Robinson of Chadsmore, formerly Hanbury Vicarage, Staffs. Soon after the outbreak of war he was appointed a dresser at the Duchess of Westminster Hospital, Le Touret, Etaples for seven months. He returned to London where he took his final examinations in October and returned to France in July 1916 where he was attached to the West Yorks Regiment as Regimental Medical Officer (RMO). He was killed instantly on the 25th April during a heavy German attack, while attending the wounded.